A cushion is an object that is used for many purposes. You may sleep holding it in your arms; You may sleep on it instead of a pillow; You may hug it and watch Netflix episodes; You may simply put a cushion in your chair to rest your waist while working on your laptop. 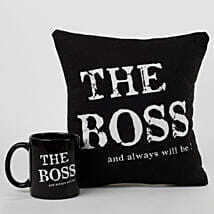 So, as it is an important daily life object – people would appreciate a cushion as a gift. 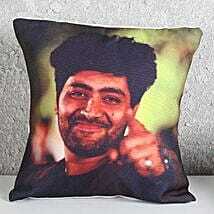 We have brought some unique cushions in printed and personalized versions which you can gift to your loved ones. 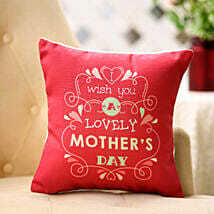 To express your heartfelt love and care to your mom, dad, siblings, spouse, and kids, you can get a cushion online delivery. All you have to do is send us the high-resolution images that you want on that cushion and our product design team would create an alluring cushion to secure a satisfying smile on your loved ones face. There are customized cushions where you can put up a birthday, anniversary, Christmas, New Year, or Valentine’s Day special message along with the images and get a comfortable and relaxing gift for your precious people! There are many happy festivals and occasions in our 12 months calendar. We want to be with our friends and family during all those occasions because of the beautiful relation we share with them. It is really painful when you cannot be there for some of them but a charming gift is there to cheer you and your loved ones. 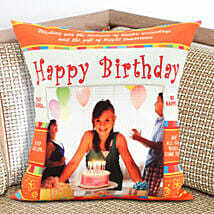 For the birthday occasion, you can choose a cushion with the image of a cake and the birthday boy/girl. 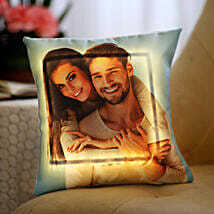 For the anniversary moment, you can select a cushion with the image of a heart inside which the preferred picture can be placed. We also have printed cushions where special messages and funny and quirky quotes are imprinted. 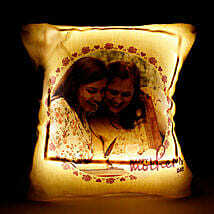 So, present these best cushions to your special friends and wish them on major festivals and occasions. Ferns N Petals is the best online gift portal where you can find some thrilling gift ideas to illuminate your special moments. From flowers to cakes, chocolates to dry fruits, we have now included some interesting personalized gifts online on our platter to make your gifting experience more refined. 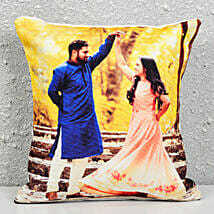 The amazing personalized and printed cushions are one of the much-loved gift items on our website. 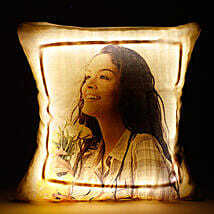 As a gift item, cushions are expert in showing love, care, affection, and romance. 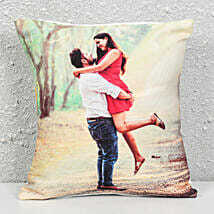 Apart from that a printed or personalized cushion also enhances home décor. Keep the colorful, printed, or personalized cushions organized on your bed, divan, sofa, or chairs and make your home look better! You can avail our express, midnight, or same-day delivery services to schedule your surprise gifts.